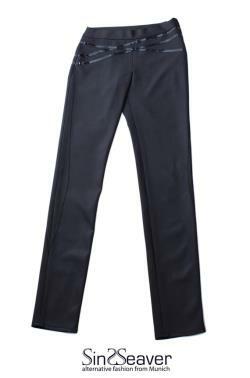 Simple, elegant and very comfortable stretch treggings made of thick, easy to care fabric. Cutted a little higher than hipsters, with straight, slim legs. Zipper on the side and three slim vinyl stripes. Two pockets on the back. Many thanks for the image to markus brönner, f.